As we continue with our planning and preparation for Open Apereo 2015, I understand that you might have some concerns about your visit to Baltimore in light of the news reports about unrest in the Baltimore area. We continue to work closely with the host hotel staff and the Baltimore Convention and Visitors Bureau to monitor the situation. We are also carefully following news and advice provided by the Mayor’s Office and City of Baltimore. Safety is a major priority for our attendees, staff and visitors. We have been assured there is currently increased security at the Convention Center and all area hotels and that at this point, there has been no damage to the city’s convention assets (Center, hotels, tourist attractions, restaurants, etc.) We have been assured that our guests should feel comfortable coming to the event and that travel should not be affected. The Open Apereo Planning and Program committees, together with our conference planners, will continue to monitor the situation closely and keep the Apereo community appropriately informed. I feel strongly that we will be able to proceed with Open Apereo 2015 as planned, and I am looking forward to seeing community members at the conference. 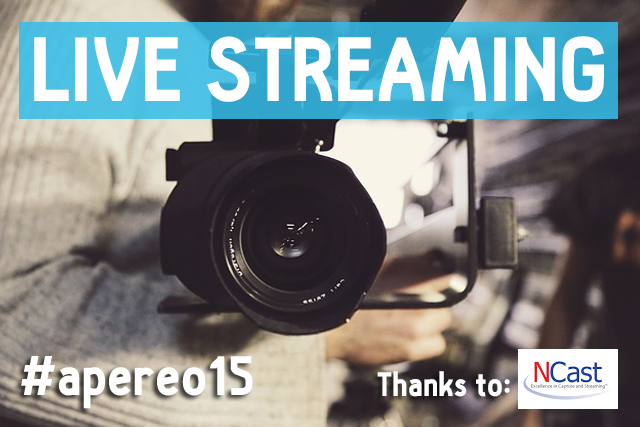 Registration is open for the Open Apereo 2015! Register now! Registration is open for the Open Apereo 2015 conference. Early bird pricing (available until May 8th) will be: $550 for Apereo Foundation Members or $655 for Non-Members. The fee includes breakfast (Monday-Wednesday), lunch (Monday-Tuesday), two receptions, and 2 1/2 days of conference presentations. Select pre-conference workshops are also available at no extra charge (seating is limited); other workshops may require an additional fee. Limited space is available for groups to meet post-conference at no additional charge. Please contact conference@apereo.org for more information. The program is still being finalized but includes over 100 sessions ranging across all Apereo projects (Sakai, OAE, CAS, uPortal, uMobile, Bedework, OpenRegistry, Student Success Plan and more). Learn the latest project news and see how peers are using these tools to improve teaching, learning and research on their campus. Talks will focus on leadership, advocacy, analytics, teaching and learning, identity management and technology. On Tuesday, June 2nd, 2015, conference attendees will have the opportunity to participate in a number of fun and exciting social events. Each event offers a unique opportunity to experience some of the culture and cuisine of Baltimore, Maryland while getting to mingle with a group of fellow attendees. See the options at http://conference.apereo.org/events. Register today for the best rates and stay tuned for publication of the full program! Time flies! The call for proposals for Open Apereo 2015 (#apereo15) is open and the deadline for early submission is only a couple weeks away! Early Bird Proposals entered by January 23 will be eligible for early review decisions by February 6. The final CFP deadline is February 9, 2015, but you want to know the decision before March 6th, don’t you? There’s nothing up our sleeve. All Apereo software is 100% open source; produced openly by our community, openly available, with nothing held back. The Apereo conference in Baltimore is a global networking point for practitioners. There will be opportunities during and around the conference for meeting, sharing, and learning from others in our global community. Open source software is emerging into a new age. It’s an age of software as a service and proprietary cloud offerings, yet with an ever advancing open agenda within higher education. Scarcely a day goes by without a sign of growing support for open content, open access publishing, open data, open science - and more. What lies behind these seemingly contradictory developments? Are they an occasion for retreat, or for re-affirmation of key values applied to a new landscape? What is the role of the open source community and non-profit foundation in this new age? Apereo, and its sister organization, ESUP, represent a global network of almost two hundred higher education institutions and commercial partners. Come and join the conversation about higher education open source in a new age. Look how far we’ve come! Get ready to learn new things, make new friends, and share your stories at our Open Apereo 2015 conference in Baltimore, Maryland! This year’s conference will be held in the heart of Baltimore’s Inner Harbor, with plenty of dining, shopping, and entertainment right on the picturesque waterfront - see more at: Renaissance Baltimore Harborplace Hotel. We invite you to submit a proposal now! There’s nothing up our sleeve. All our software is 100% open source; produced openly by our community, openly available, with nothing held back. It’s not just the software. Come to learn about community building in practice. Join the conversations in our teaching and learning community, learner analytics initiative, and more. The deadline for proposals is February 9, 2015. As proposals are received, the program committee will review and accept submissions during the open submission period. The committee expects to have all proposals reviewed and final acceptances by March 6. Please note that you may login and edit/review this proposal only through the cutoff date of February 9, 2015. The deadline for submissions is February 9, 2015. Early Bird Proposals entered by January 23 will be eligible for early review decisions by February 6. The Apereo conference in Baltimore is a global networking point for practitioners. There will be opportunities during and around the conference for meeting, sharing, and learning from others in our global community.